A distinguished electrical equipment retailer, LenoRF, has recently unveiled its collection of N connectors. A distinguished electrical equipment retailer, LenoRF, has recently unveiled its collection of N connectors. Aside from that, the company has decided to provide big price cuts for all new and old clients. All people who place an order for the company’s brand new N Connectors can get a discounted price, up to 40% off. According to the sales representative, all these N connectors are made from durable materials. The company promises that each of them can offer a great performance. As an innovation-based supplier, LenoRF insists on employing experienced and creative workers. All its items go through meticulous engineering, smart designing and strict testing before they are delivered to their purchasers. “It is happy to announce our N connectors. All our workers have extensive experience, so I am confident of our new products. At the moment, all of them are offered at big discounts. 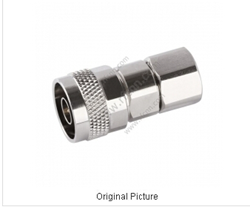 Customers who are planning to buy excellent N connectors can visit our website now. Our online sales representatives are ready to serve you anytime,” the company’s chief executive officer says. The award-winning N connectors from LenoRF offers great performances. The company is dedicated to providing superb quality electrical equipment that can make things much more convenient for worldwide distributors. It employs designers and workers with significant expertise in the industry. More details about the company’s useful products can be found at http://www.rfcnn.com/N-Male-Clamp-For-LMR400-Short-Version-RF-Connector-417.html.